Take some time to breathe and experience peace of mind! Read about our handmade Peach Moonstone healing crystal bracelet below to see if you connect with this crystal. Emotionally, Moonstone soothes emotional instability and stress, and stabilizes the emotions. It improves emotional intelligence. Placed on the solar plexus (chakra 3 - Manipura), it draws out old emotional patterning so that it can be understood and then dissolved. Moonstone provides deep emotional healing and heals disorders of the upper digestive tract that are related to emotional stress. 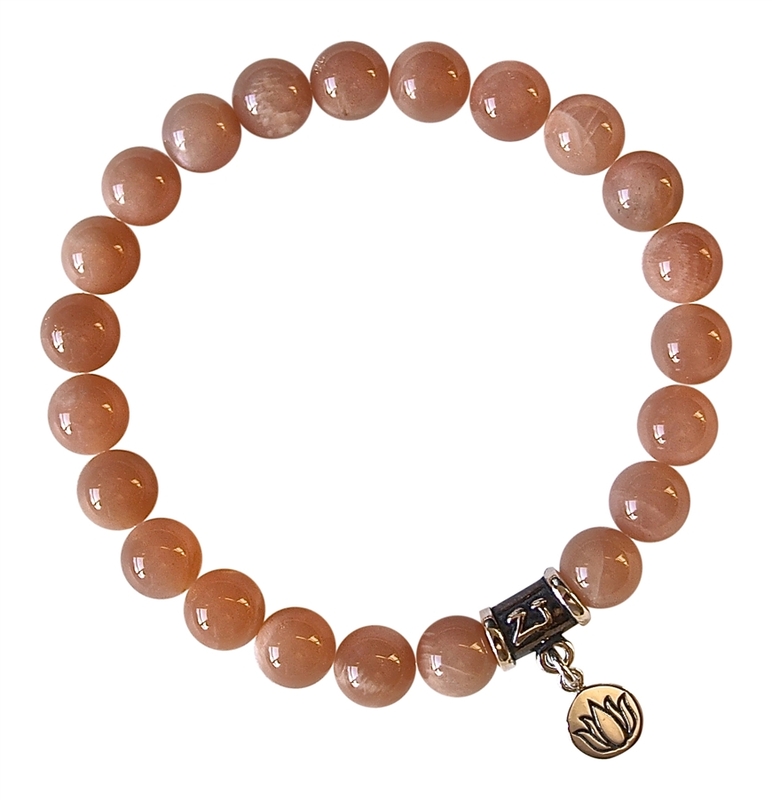 Surround yourself with peaceful energy with our stunning peach Moonstone bracelet today!